After such a long dreary winter, one of the best things you can do for your well-being is improve the appearance of your smile. 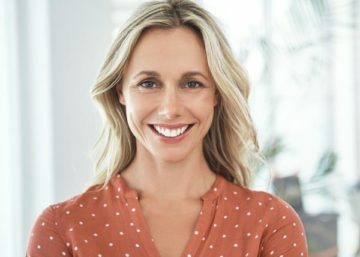 We understand that your smile says a lot about your personality, which is why we offer cosmetic dentistry services to help you feel more confident. Whether you’re interested in professional teeth whitening or porcelain veneers, you can trust our Hudsonville, MI cosmetic dentists to plan and carry out your smile makeover this spring. It’s been our experience that people are more interested in improving their appearance just before summer, whether through gym memberships or cosmetic dentistry. Don’t wait! Request an appointment with our cosmetic dentists today to learn how you could enjoy a beautiful healthy smile in time for summer. It has always been one of our goals to help patients smile with confidence. Straighten teeth in as little as 12 to 18 months with Invisalign braces! Like the name suggests, Invisalign are nearly invisible aligners that fit over your teeth. If you think you would feel self-conscious with traditional metal braces, ask our Invisalign dentists if you’re a candidate for clear aligners. Invisalign is perfect for teenagers and adults who want to straighten teeth. A dental crown covers the entire visible portion of your tooth above the gum line. Our cosmetic dentists may recommend a dental crown to cover a tooth that’s discolored or fragile due to injury or decay. We take great care to make sure your new dental crown matches the color, shape, and size of the rest of your teeth so you can smile with confidence. A dental crown fits over your tooth, restoring its strength and appearance. Veneers are wafer-thin porcelain shells we bond to the fronts of teeth to cover stains, chips, cracks, and other minor imperfections. You may be a candidate for porcelain veneers if your front teeth have minor cosmetic damage that could be easily covered. The veneers procedure takes two visits to our office, but still gives you plenty of time to transform your smile so you can show it off this summer. We offer custom teeth whitening trays so you can whiten teeth from the comfort of your own home. During your first appointment with us, we’ll take impressions of your teeth and send them to the lab where your custom whitening trays will be made. When you return for your second appointment, your custom teeth whitening trays will be ready. Our teeth whitening dentists will make sure your trays fit comfortably before sending you home. We also offer in-office teeth whitening for fast results. Since so many weddings and other special occasions take place during the summer, it makes sense to whiten teeth now so you’re photo-ready. Our teeth whitening dentists will make sure your smile is white and radiant this spring. Our cosmetic dentists in Hudsonville, MI are ready to help you achieve your best smile. To request an appointment with Hudsonville Dental, call (616) 209-4024. 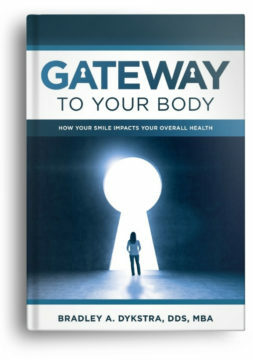 Can Cosmetic Dentistry Improve Your Quality of Life?